WOMM (word of mouth marketing) and earned media should be key components of any communications plan to market your nonprofit’s website. If your nonprofit is not taking advantage of free tools like Add This, a widget that encourages users to share your organizations articles or webpages on the most popular social networks or branded toolbars like FreeCause, then your nonprofit is missing out on some big marketing opportunities. Check out these 10 tools and strategies to market your nonprofit on the web, connect with your members and reach new supporters. I have also ranked them from easy to moderate to time consuming. 3. Pick Two Social Networks: My two favorite social networks are Twitter and Facebook (Fanpages). Spend 15 minutes a day talking to the community and cross promoting your campaigns, news, etc. 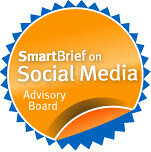 *Moderate* Note: This can be time consuming if you let it, so that’s why I encourage nonprofits to spend at least 15 minutes a day using two main online social networks. Allyson Kapin is the editor of Frogloop, Care2's blog for nonprofit professionals in online marketing, fundraising and advocacy. Kapin is also the founding partner of Rad Campaign - , an online communications firm that provides web design, web development, online marketing and strategy to nonprofits. A master of multi-tasking - she organizes the Women Who Tech TeleSummit and writes Radical Tech, a blog column for FastCompany.com. She was recently named one of the top tech titans by Washingtonian Magazine. I'm slowly finding my way back into a blogging routine among other routines that have been disrupted by the move. The hardest part about moving isn't the packing, the actual move, or even the unpacking and subsequent disorganization. It's the everything is new, different, and not familiar. Your brain can't go on automatic pilot for mundane tasks because it has had to rewire neurons. It's like trying to get back into physical shape after you haven't been exercising for a while. So, as part of getting back into my blogging routine or rather establishing a new one, I'd like to reflect a little on TWT20 interview experience. 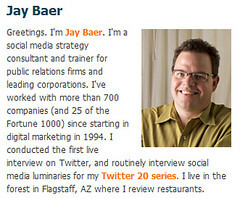 Jay Baer is a blogger and social media consultant who has been doing Twitter 20 interview series with social media. I first discovered him when he was interviewing David Armano. In real time, @jaybaer sends out a series of 20 interview questions as tweets. The questions are 140-characters long and he uses a hashtag #twt20. You respond with answer that is 140 characters. Other people who are monitoring the hashtag or watching the stream can add their thoughts or questions or retweet. The mechanics of participating were fairly easy for me. 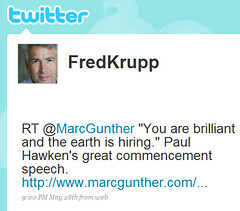 I use a couple of different Twitter clients and decided to use cotweet for this interview. I opened up a search on the tag in one tab and in another tab the replies to me. Jay asked some terrific questions. The responding required thinking and writing succintly or in headlines. I had to sum up an answer in 140 characters. It uses a different part of the brain. I actually cheated a little bit ... I tweeted a 140 character answer, but I included a link to a post or resource that explained the answer in more detail. The most time consuming part was finding the particular post on my blog, but a number of the questions were answered by some of the recent guest posts on this blog. I tried to point to other people's blogs/examples as much as I could - and that was mostly me trying to remember and find the example! While the interview was unfolding, Jay was doing a transcript as a blog post. It looks like he did a cut and paste of the questions and answers - nothing fancy in terms of software tools. You can find that here. I was skeptical at first. How could you really engage in a conversation/interview with only being able to respond in 140 characters? Would it be totally distracting? Would it give the important topics we were discussing any justice? And more importantly, could those who were listening or participating learn from this 20-question 140-character rapid fire Q&A? And, would there be a resulting "product" or blog post that could document the conversations for others who not on Twitter during the interview in real time? I'm not a skeptic any longer. I read the transcripts from two previous interviews on Social Media Listening - one with David Alston and Amber Naslund which are filled with some useful pointers on one of my favorite topics - listening. Jason asked really good questions and added his two-cents. There were a couple of questions I've never been asked. NPOs have a lot of interactions w/donors & customers. 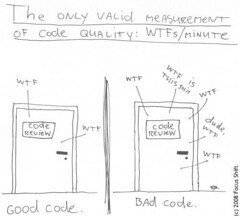 It’s not perfect. Should NPOs have a social media crisis plan? Similar to what’s happening w/ Social CRM, do you encourage NPOs to add social media interactions to their database? How? So, I'm curious about what your take is on those questions? 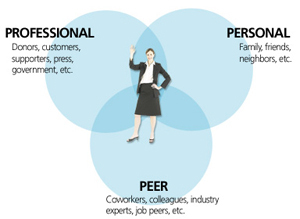 And even more importantly, what's your take on this model as an engagement strategy? Looks like the work would take approximately 3-6 hours (figure out interview questions, conduct the interview, post the transcript) depending on your twitter literacy skills. Today I had several discovery moments of serendipitous learning via Twitter. I am noticing lately, that I am hearing all my news before it even hits the web, let alone TV, via Twitter. There is something so gratifying about reading a news-ticker on the bottom of MSNBC TV and saying , “Yeah, old news, read a tweet about that 5 minutes ago.” Twitter is becoming more important to us every day, and it will soon change the way we live. It definitely changes the way we are perceiving what is current and the way that we are receiving information. When I was 12, I remember my father used to mock me for obsessively checking my voicemail. “You’re not a doctor”, he’d say, because he was one. I used to obsessively check my email, and then I moved on to obsessively checking my Facebook feed, but now I try desperately to limit my distraction and ADD time and I just manically check my tweet-stream. Today, one of the hundreds of time i was obsessing on TweetDeck, my lens of choice, to see who was saying what and who was talking or re-tweeting me, I noticed that someone whom I respect in my field, Online Community Manager, Angela Connor, was talking about stuff I found to be interesting and using a hashtag I didn’t recognize, #Cmtychat. I followed the hashtag, and I was all of a sudden immersed in a lively discussion of community managers from all over the world, talking about what we do and sharing best practices.The discussion hour was half over by the time I arrrived there, but I tried to join in without seeing too lame and ignorant. One of the things I learned in this event was the new members to a community often felt embarrassed to post for the first time, and it is imperative to welcome the newbies and encourage them. This is something that is common sense, but it was among hundreds of rules of thumb that were nice to be reminded of. I joined in and started tweeting about my work with Nonprofits and Online Community and mimicked the behavior of the others. Soon, I was being addressed by them and responded to, and I was really happy to have stumbled upon this spontaneous and free conference about online community. I started observing my own behavior as a community newbie (to their conference) and reflected upon my behavior, using it as a lesson of how to better manage the communities that I run. I used the #Cmtychat hashtag at the end of my few posts, and then discovered that the technology was even deeper then just tagging your tweet. So, it was quite a hyper-real and helpful experience learning about online community best practices and doing it on an entirely new tool, having not been invited to participate and just jumping in and chatting, which put me in the shoes of a newbie, somewhere I haven’t been for 9 years. Twitter is a networking tool, in addition to all the other reasons we tweet, and I now have dozens more followers and people I follow, whom I may only had met if I was actually attending the same forum or conference with them. However, in this instance, the simple curiosity about a tag, brought me into the event, and I will definitely be going back every Friday at 11am-noon PT. Last week I wrote a post called "8 Nonprofit CEOs Who Tweet" and the number quickly grew based on the responses in the comments. It got me thinking about managing multiples: multiple twitter accounts, multiple people tweeting from one account, and how do you tweet a network of affiliates or a movement. There are no official rules, although there is some great advice in the O'Reilly Twitter Book on this topic for corporate examples. You'll need to decide who is doing the Tweeting for your organization. Will you set up one flagship account and have one or more staff members tweet from that account? Or will you have an organizational account but also encourage staff to Tweet as well? Obviously, it is good idea to have just one organizational account because it does take work to maintain. And, it is a good idea allow employees to have personal accounts just as long as they identify themselves with your organization. Will having an personal Twitter account for your organization like having an organizational email account in the future? A year ago, maybe it was just the marketing director who was on Twitter or some organizations had one general, branded account. As Twitter has become more a common tool in the nonprofit toolbox, it can be useful beyond the marketing department. Since Twitter can help put a "human face" on the organizations, nonprofits may find themselves having multiple staff Twitter accounts for organizational use. The example above is from Lisa Goddard who is the marketing director at the Capital Area Food Bank. There are multiple people from the organization on Twitter. Each account is in the person's name, but they are clearly identified with the organization both in a customized Twitter profile image and in the 160 character bio. Take for example their CEO David Davenport. It is also important to identify your staff twitter accounts on your organization's web site. The whole team from the Capital Area Food Bank is identified on Web Site's newsroom. Another way to approach is to include Twitter handles in staff profiles on the web site. Take a look at Ellen Miller from the Sunlight Foundation as an example. In looking at the Twitter streams of this team of organizational Twitters, they are re-tweeting each other or having conversation. This helps expand the collective number of followers for the organization. One thing is missing from these Twitter profiles, however. They are not as findable as they should be. That's because when you search "Find People on Twitter" it searches the name field. So, it is important to include your organization's name in the name field - well, unless, the name of your staff person or CEO is well-identified. Check out how Tony Hsieh the CEO of Zappos uses the name field. Also, according to the Twitter Book, the name field is what Twitter uses to email someone when you follow them. So, in the example of Lisa Goddard, that email would say Lisa Goddard. If she edited the name field to read, "Lisa Goddard, Capital Area Food Bank," people she follows would know she is with the Food Bank. I discovered CoTweet and Hootsuite when I needed a Twitter application that did not have to be installed on the desktop. The features I was looking for were: scheduled tweets and URL shortners. The power of these two useful application is the ability to post to multiple accounts and assign workflow. Like TweetDeck and other clients, it makes it easier to re-tweet and dm. These are great tools to support a team of twitters. They have slightly different feature sets. I love Hootsuite's "Hootlet" which goes on your browser and allows you tweet while you are browsing web sites and blogs. If you share a lot of information from other sources via Twitter, this tool is a big time saver. Hootsuite lets you track stats of click thrus in a visual way. Here's an example. I just played with the next version of HootSuite and it has groups! CoTweet has a beautiful interface, and while it lacks bookmarklet, it does offer the ability to do searches and all the features of Hootsuite. At first, I missed the fact it tracked stats because the feature was embedded in the interface. Stats can be accessed by clicking on the icon next to any bit.ly link. I'm using them both, but I'm not managing a team. I recommend test driving each application with a small group and deciding which one better meets your needs. Have different people Twitter from one account. It's simpler. This is a good way for a smaller organization to use Twitter. It's a good model for live tweeting an event or a time specific event. But how do you add the humanity? Co-Tweet's Twitter account is an example. Are there nonprofit examples? One account per local United Way is recommended. Multiple organization accounts create confusion. It’s OK for employees of an organization to have their own personal account as long as employees are being transparent of who they are and who they work for. Through Hoot Suite, or other twitter tools, you can enable individual employees/volunteers tweeting about united way to post their UW tweets to the main account, which could capitalize on their individual followers while keeping a consistent UW account. Employees can and should provide the Twitter handle (username) of the organization’s main Twitter profile on their own profiles (cross linking is important for consistency and unification). We can't lay down the twitter law (guidelines) for local United Ways -- we can just point out the pros and cons and ask them to decide if that type of engagement makes sense in their online communities. I know of about 30 chapters that have adopted it, but haven't heard any amazing success stories ... yet. What is your organization's approach to multiples on Twitter? What are your nonprofit's super power listening tips for using Twitter? 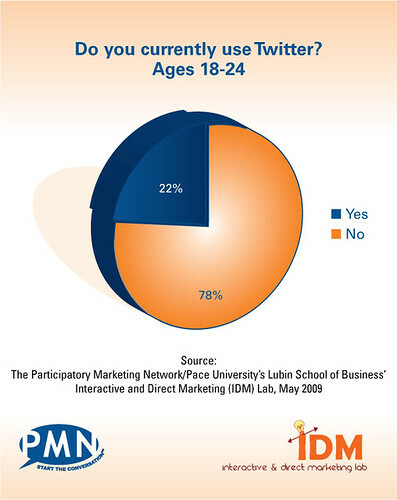 How is your organization currently using Twitter? Right now, it's just me sending out the tweets to our followers. I try to send out at least one per day, usually an update of our latest blog posts, podcasts, or news about Cleveland/the nonprofit field. I'm currently trying to convince our CEO to join Twitter, since he honestly doesn't have time to blog. We want people to engage with us. In the community, there's a bit of the "Ivory tower" mentality surrounding us, when in fact, we spend more time out and about in the community than people realize. We want to share that news, and let the community and other nonprofit leaders know just how much we want to make a difference. Right now, it's a mixture of other nonprofits, residents of our city, and nonprofit professionals. We'd love to get more Average Joes to follow us and see that we're just as committed to the city and its success as anyone else. One of the great uses of Twitter is as a listening tool. It's an excellent way to get started. As the Twitter Book suggests, Twitter gives you superhero powers: the ability to read people's thoughts and the ability overhear conversations. One of the illustrations of this for nonprofits, can be found in Nina Simon's slideshow "Everyone's Smithsonian" see slides 10-20). Twitter Search: Simple key word searches can yield valuable information. However, sometimes you'll need to hone your search using the "Advanced Search." I also learned that Twitter search has some tricks too. You can remove a search term by putting the (-) minus sign in front of it. Also, you can search for either of two words by inserting the word "or." Trending Terms: I've been playing a game for the past couple of months. I look at Twitter search terms and then see if the terms are related to headlines. Lots of times there are #hashtags trending, but often they are cryptic. "What is the Trend" gives you a list of trending #hastags and the ability to fill others in what they mean if you are closely involved. Retrieving Older Tweets: Apparently the search stream on Twitter only goes back as far as three months. But you can try a google search by using site: twitter.com/account name. Finding People: Twellow searches through user profiles and also has different categories of listings. What are your power listening tips on using Twitter? Do you have an example of how listening on Twitter has provided value for your nonprofit organization? Last October, Brian Solis created the definitive list of Twitter Tools, a handy list of Twitter helper applications by key categories. Given Twitter's explosive growth and crossing the chasm to more mainstream adoption, the palette of Twitter tools has most definitely expanded as Brian notes in his post to more than 1,000 apps. I noticed this a few months ago, when a few of us analytics geeks fooled around with creating a Twitter Monitoring and Analytic Tools Taxonomy. That's why I'm was so excited to see that Brian Solis and Jesse Thomas have collaborated on a "alpha" version of the "Twitterverse" of Twitter tools covering a broader taxonomy of uses - from relationship management to work flow support and beyond. You may remember that they also created the much replicated and shared Conversation Prism - a map to help communications, service, marketing, and community professionals more effectively navigate the many social media tools. They are asking for feedback on what is missing, suggestions for categories, and other ways to improve the tool. I would love to see a clickable version. Better yet, I'd like to see a wikispace that included descriptions, links to tutorials, and tips. I've used the Conversation Prism diagram in almost every presentation or training I've done since Brian created it (with a credit to the creater and a mini advertisement to read Brian's blog). The reaction I often get from folks in the room is a feeling of being overwhelmed. So, what I'd also like to see is the 101 version of the Twitterverse perhaps for the next reiteration of the WeAreMedia Tool Box. 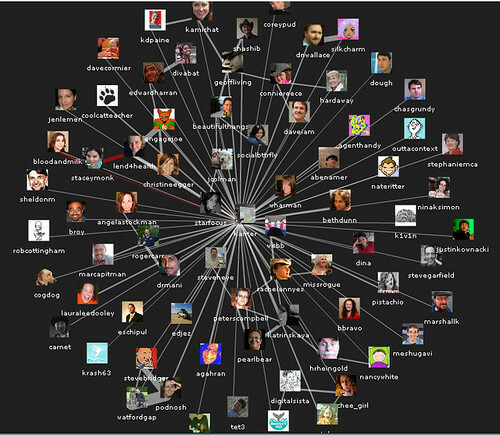 Thanks Brian and Jesse for a terrifically useful map to the Twitterverse. One of the best things about moving to the Bay Area is that I can attend some of the Social Media Conferences without having to get on an airplane. I'm attending TWTRCON next weekend! When I registered, I also signed up for the pre-party which will benefit Operation Smile. I know about Operation Smile because Renee Hamilton, social media strategist for the organization, was one of the participants in the WeAreMedia workshop back in February. She also came to SXSW where she launched a small experiment using taking photos of people smiling. I felt compelled to support Renee and her organization. I hope you will send them a little twitter love too. Founded in 1982, Operation Smile, headquartered in Norfolk, Virginia, is a worldwide children’s medical charity whose network of global volunteers are dedicated to helping improve the health and lives of children and young adults. Since its founding, Operation Smile volunteers have treated more than 130,000 children born with cleft lips, cleft palates and other facial deformities and the organization has a presence in 51 countries. In addition to contributing free medical treatment, Operation Smile trains local medical professionals in its partner countries and leaves behind crucial equipment to lay the groundwork for long-term self-sufficiency. The 140 Smiles campaign is aimed at raising funds for 140 of these reconstructive surgeries. Operation Smile has partnered with TWTRCON and Common Knowledge, the first Twitter for business conference to be held in San Francisco on May 31st to kick off this campaign. The 140 Smiles launch party will be held Saturday, May 30th at famed San Francisco restaurant Le Colonial and will be streamed live by Twooting.com. The event will be hosted by newly named Twitter Smile Ambassador, Stefanie Michaels. Known by over 500,000 Twitter followers as Adventure Girl, Stefanie is a media entrepreneur, travel expert and Top 100 Twitterer. She will also be a featured speaker at TWTRCON. 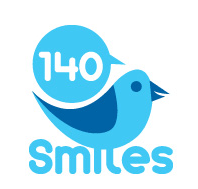 So, keep an eye out for the 140 Smiles Campaign. It will launch on May 30th. Search the #140smiles to find other people who are participating. Prior to May 30th you can Tweet your support of #140smiles. I thought I'd give them a little help with a blog post and a tweet. Why don't you? This is one book that I'm definitely taking with me on the big move, but I'm also giving away a copy too. (I got one free copy because my tweets are featured on pages 121 and 159). 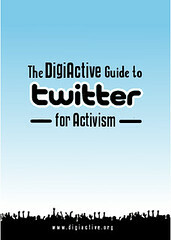 Anyway, this small book about Twitter is packed with simple, practical advice for getting you up to speed quickly. It is one of better designed how-to tech books I've ever seen. It's a quick read, I read it in an hour. But it is real value is as reference to keep by your desktop. It's the most easily digestible, least complex technical book I've read in a long time. This book is not only of value for those of us in the weeds using Twitter everyday, but also a great book to put on your manager's desk. I've been using Twitter now for three years and been following the conversation about how to use this tool, so I thought I would not learn much new. However, I learned so much because of the zen-like simplicity of the book's design. But, the book also inspired me to improve my Twitter use. How many technical how to books inspire you? What I like most about the book is the information design and the more is less approach. There's plenty of white space - it is fun to read. I like the smaller size too. It's also filled with visuals which is really good for someone like me who is an off the charts visual learner. How is your organization currently using Twitter? What are your objectives? What audience do you want to reach? How are you measuring success? Twitter is one of a growing breed of part-technological, part-social communication media that require some skills to use productively. Sure, Twitter is banal and trivial, full of self-promotion and outright spam. So is the Internet. The difference between seeing Twitter as a waste of time or as a powerful new community amplifier depends entirely on how you look at it - on knowing how to look at it. He goes to lay out some reasons why he finds Twitter valuable, a nice counterpoint to Jakob Nielsen's critique in BusinessWeek where he suggests that Twitter gives you ADD and can damage productivity. Clearly, if you use Twitter efficiently and in the right way it can provide value. It comes down to tuning and feeding. And by successful, I mean that I gain value - useful information, answers to questions, new friends and colleagues - and that the people who follow me gain value in the form of entertainment, useful information, and some kind of ongoing relationship with me. That last point about "ongoing relationship" refers to ambient intimacy or the ability to feel like you know someone more deeply even though you may not have met face-to-face or only met once. As a colleague said to me recently when asked if she found Twitter of value as a professional networking tool, "If I'm following someone on Twitter who I met a conference, I might feel more comfortable picking up the phone to talk to them when I'm networking." The tuning element is about who you follow. Rheingold has a mix of people he knows offline as well as virtual friends. I like Vladis Krebs' advice on this fine-tuning which is summarized in a post I wrote a few months back called "If you were stuck on a desert island, and could only follow 150 people on Twitter, who would you follow and why?" He suggests identifying influencers in different communities to follow versus following everyone. That's how I fine tune who I follow, but I also like to mix it up with a little serendipity. 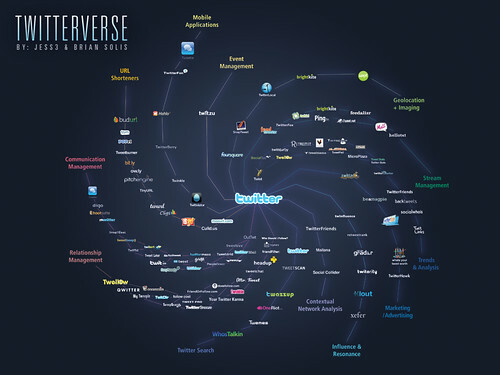 How is your organization tuning its Twitter network? How is your organization feeding its Twitter network? How does what your feed your Twitter networks support your social media objectives? Certainly, with discipline and a few minutes in the morning as part of your regular routine, you can overcome some the productivity issues that Nielsen points out. And, with web-based applications like Co-Tweet or HootSuite you can share the tweeting across teams, pre-schedule your tweets and other time-saving tricks. Even better, if you can't install local clients on your desktop because of IT policy, both of these Twitter productivity tools are web-based. The phrase "Twitter Literacy" made me think of this pretty funny syllabus called "Writing for Nonreaders in the Postprint Era. Students will acquire the tools needed to make their tweets glimmer with a complete lack of forethought, their Facebook updates ring with self-importance, and their blog entries shimmer with literary pithiness. 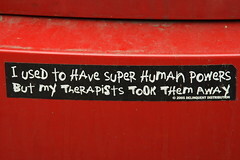 All without the restraints of writing in complete sentences. Now that Twitter is being used by more and more businesses and nonprofits, Twitter Codes of Conduct are being added to social media policies. I like the guideline that Wendy Harman, Social Media Strategist for the Red Cross said last February in an NTEN Webinar, "I won't tweet anything that would embarrass my mother." What questions or tips do you have about improving your organization's Twitteracy? Pistachio's Collection of "Getting Started On Twitter Guides" and "Professional Twitter Guides"
Lucy Bernholz has a great post called "Metrics Are Good, Unless They Are Bad" which talks about the problems we encounter when we're trying to measure hard to measure stuff - like social media, social return, and social enterprise. And while Lucy firmly believes that it is possible to measure, sometimes people measure the wrong thing. Her case in point is the recent Washington Post article suggesting that Facebook Causes had driven very little money to charity and was a failure. Several of us disagreed with the thesis money was the only one metric for success. As I blogged in response to the article, Causes is best for creating connections and awareness. If you didn't read the thread over at Allison Fine's blog, you can find it here. Lucy also muses about what the right metrics are for social media efforts. (I've been obsessing about this topic for a while, you can read my latest musings here and here). Lucy brings up some points about metrics for Twitter. Whatever the tool we're using, the right metrics are those that can help understand engagement and relationships. View more presentations from kdpaine. This last week I was at NTC 09 in San Francisco leading a session on Mapping Metrics To Strategy. However, while checking my Twitter stream I realized that the Queen of Measurement, KD Paine, was at a conference a few blocks away in the lobby bar. So, headed over to say hello and to hear about her masterclass "ROI of Relationships." Over the weekend, SobCon was taking place in Chicago and I wish I could have been there - (next year, Lis, I promise) KD Paine was there and follow her Tweets and KDPaine pointed me to her slide deck. She talks about conquering our measurement fears. It's not just math phobia. It's about confronting what doesn't work and improving it. It gets at that failing formally point that Clay Shirky was talking about NTC Keynote. She puts the what to measure question in context from hits, to views, to engagement. And, the whole point is about improving relationships. She offers a frameworks output, outake, outcome - looks sort of like a logic model to me. She gives a seven step framework for measuring the ROI of relationships. Most importantly is understanding what your engagement index is. There is also a detailed taxonomy for types of social media conversations. I happened to see a wonderful remix of this from Buzz Canuck called "The 27 Types of Twitter Conversations." One of my favorite metrics geeks, Jim Sterne, who has very advice on "How To Measure Engagement On Twitter." He suggests setting goals and identifying audience before selecting the metrics. His approach is not to select a metric that shows impact, but to pick the right metrics to help you improve what you're doing. He writes about an analytics tool developed by Eric Peterson that if you apply thoughtfully can help you improve the results of your Twitter strategy. 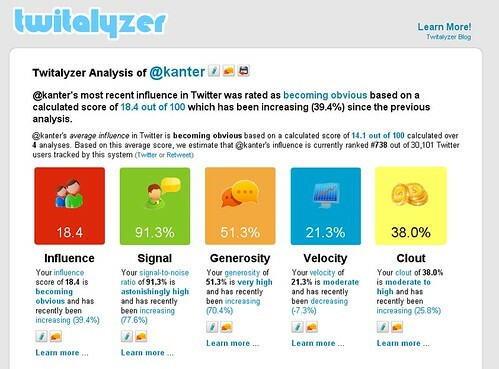 A slightly different approach than demonstrating impact, Twitalyzer calculates your influence based on your signal-to-noise ratio, generosity, velocity and clout, and it also allows you to calculate a score for any other Twitter user you wish to track. You're tracking relative increases and decreases to your influence over time and helps you refine Twitter strategies. Would You Get A Tattoo On Your Arm for A Good Cause? We've been hearing a lot about larger scale fundraising efforts on Twitter and cause fatigue and how it will become more and more difficult for charities to distinguish their social giving campaigns amid the noise. One strategy might be cultivating relationships with freelance fundraisers and activists. These smaller scale efforts represent some of the more creative fundraising campaigns undertaken on Twitter. Typically launched by an social media savvy individual, who cares deeply about a charity or Cause, and these campaigns use platforms like Twitter in an unique way to raise money for that charity from their network. 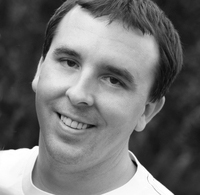 Take for example, Drew Olanoff, who I had the pleasure of meeting at Gnomedex last summer. Two weeks ago, Drew announced his Twitter fundraising campaign to raise money for the Make-A-Wish Foundation, a charity that "grants wishes for children with life threatening medical conditions." 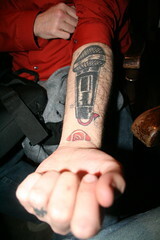 He offered to put a permanent tattoo of the Twitter user's name on his arm, to the highest bidder. His cause says a lot about who he is and who is friends are! Following the best practices of person-to-person fundraising and that is to talk about why the charity is important to you, he shares his reason, "kids deserve awesomeness". He put the word out on Twitter and his network started a bidding war. Louis Gray writes about how he bid several hundred dollars for the honor. 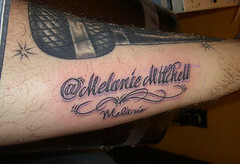 In the end, Melanie Mitchell was the lucky winner, bidding $2,112 to have her Twitter name on Drew's arm. Louis Gray has an interview with her. When I heard about this story, I was curious about Drew's tatoos. I searched flickr and found the above photo taken by video blogger Steve Garfield. Steve's been a huge supporter of the Sharing Foundation. Just over the weekend, he won a contest on Twitter and donated his prize money to the Sharing Foundation. Thank you Steve! What creative fundraising efforts have you seen taking place on Twitter or elsewhere on the social web? I've been on Twitter since almost the beginning and have watched charitable giving and fundraising go from the edge to mainstream. Twitter is establishing itself as a charitable giving and cause marketing channel. We're now seeing the concept of a Twitter "Tweet-a-thon" evolve. 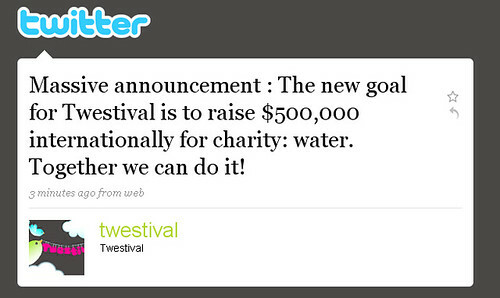 The first Tweet-a-thon took place in September, 2008. It was launched by Dr. Mani who raised money for heart surgeries for poor kids in India. Last month, Joel Comm sponsored a Tweet-a-thon event that was larger in scale, included celebrities, and live streaming. The dual purpose was to promote Comm's recently published book and to raise money for a ministry that provides clean water in Kenya. According to Joel Comm, $13,000 was raised. The next reiteration a "Tweet-a-thon" fundraising event is taking place until March 5th and the goal is to empower marginalized women and girls in the world’s poorest countries. What's different is that you don't have to give money out of your own pocket. During the four-day campaign, each Tweet will leverage a 10 cent donation – up to 50,000 Tweets – from NCM Fathom to the global humanitarian organization CARE. The Twitter campaign honors International Women’s Day and the upcoming event A Powerful Noise Live! in 450 select movie theatres nationwide on March 5th. Twitter users may donate their avatar and replace it with an image of the red female sign. The image is available here. The campaign site features a twitter counter. So far, 488 tweets or $48.80 has been raised.